Is Pomona the only city locally that has “districts”? I think it divides the elected officials rather than bring them together for the sake of the city…not just their own precious neighborhoods. The ‘prankster’ is correct in their sentiments, that is for certain. Measure ‘T’ will help solve Pomona’s district issues. Gee maybe Bob’s right. Maybe we should elect state reps (assembly, senate) statewide. Or better yet, perhaps we should elect congress (house and senate) nationally. Perhaps then all congress would be from Texas or Florida. In Pomona, we have districts so that not all representation comes from one area of the city and each geographic area has someone who represents them. While it’s often not pretty, representative democracy works best when the people are actually represented by someone who is like them, and has their same concerns. So 98% of all other local cities are doing it wrong John? Didn’t know that Pomona was such an innovative and progressive example and model city. I ask Scoop an honest question and you mock it! Prior, there was an LAT article from 6/27/85 with headline “Minorities Attack Pomona’s At-Large Voting” which led to litigation. Whether 98% of all other local cities are doing it right or wrong is irrelevant. 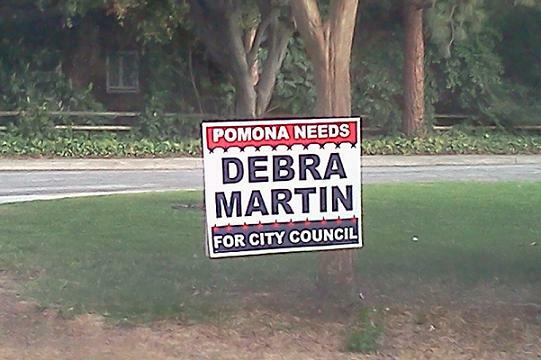 It came up for a vote and the residents of Pomona passed it. I think I did read from Col. Firey’s copy of the 1911 charter a while back about 4 wards with reps voted on at-large so yeah, this seems like something that had gone on forever. Thanks Allan, I was almost ashamed to ask DA the question since I was a long time resident of Pomona but only can remember voting in 1972 and left town (on a rail) in 1978. I just remember being shocked when my old classmate, Donna Fuqua, was elected mayor.